Have you ever wondered that you can actually see that hidden password in any computer? Yes it is possible by performing a simple task.You just need to perform 3 steps and BINGO,you can see the password. 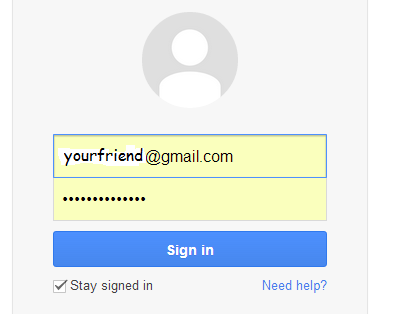 When you logged to your friend’s computer haven’t you seen a gmail login screen like this? To keep things simple, i explained the process step by step below. BINGO,thats it you have a popup box with the password of your friend. Never allow any of your friends to access to your pc. Never make your browser to remember the passwords. The only safest place to protect your password is your ‘brain’. YOUR ACTION RELATED TO ABOVE TRICK.